Donald Trump says Roger Ailes' forced exit from Fox News is "so sad." The GOP nominee for president called the Fox News mastermind, his longtime friend, "such a great guy" in an interview for the Showtime series "The Circus." And in an interview on NBC's "Meet the Press," he didn't deny that Ailes is advising him. "A lot of people are thinking he's going to run my campaign," Trump said slyly, acknowledging the widespread speculation in TV and political circles. Trump avoided directly addressing the question. "My campaign's doing pretty well" was his only comment. 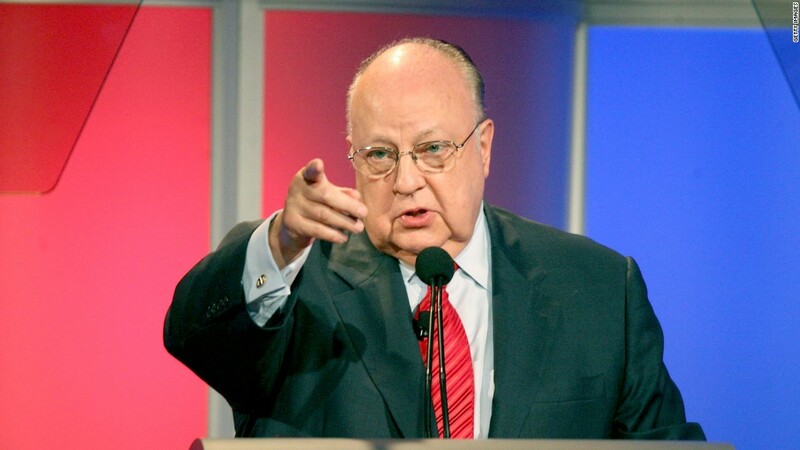 His campaign manager and son both said in separate TV interviews Sunday that they are not aware of plans to bring Ailes onto the campaign team. Trump defended Ailes amid widening allegations of sexual harassment and other inappropriate workplace behavior. In the wake of a harassment lawsuit filed by ex-anchor Gretchen Carlson, numerous other women have come forward to speak with investigators. The heads of Fox News' parent company, 21st Century Fox, determined that Ailes must step down from the channel he created 20 years ago. Ailes resigned under pressure on Thursday, effective immediately. Speaking with NBC's Chuck Todd, Trump repeated one of the defenses put forth by Ailes' side: "Some of the women that are complaining, I know how much he's helped them. And even recently. And when they write books that are fairly recently released, and they say wonderful things about him." In fact, Carlson is the only accuser who recently wrote a book. It included praise for Ailes. She was still employed by Fox News at the time, and her representatives have said it was necessary to include the positive language in the book. "Now," Trump told Todd, "all of a sudden, they're saying these horrible things about him. It's very sad. Because he's a very good person. I've always found him to be just a very, very good person." Given Ailes' past work as a Republican political consultant, and given the fact that he and Trump have known each other for decades, there was immediate speculation that the two men might start working together. "Is he helping you? Is he advising you?" Todd asked. "Well, I don't want to comment. But he's been a friend of mine for a long time," Trump said. Ailes and Trump speak regularly by phone, and sources said they counseled each other last week, as Trump was preparing for his RNC acceptance speech and Ailes was preparing to resign. Related: Can Rupert Murdoch steer Fox News? Trump also showed his trademark loyalty to friends in the Showtime interview with Mark Halperin. What Ailes has "done on television, is in the history of television, he's gotta be placed in the top three, or four or five. And that includes the founding of the major networks," Trump said. "So, it's too bad," Trump continued. He added, "I'm sure it was friendly. I know Rupert. He's a great guy. Rupert has great respect for Roger and everything Roger's done." Leaks to the media about Ailes' imminent departure made the separation seem unfriendly. Rupert Murdoch, the media mogul who passed control of 21st Century Fox (FOX) to his sons James and Lachlan last year, is serving as acting CEO of Fox News now. Rupert Murdoch was harshly critical of Trump last year. But in recent months, Murdoch has been openly supportive of the candidate. Ailes may continue to advise Murdoch in the coming months, though the role has been described by sources as pro forma. Fox News has been an important outlet for Trump. In recent weeks he has granted TV interviews almost exclusively to Fox hosts, skipping channels like CNN and NBC. Trump's interview with Halperin, taped on Friday, took place on the same day that the Washington Post published new claims of harassment by Ailes. An intern who briefly interned at Fox in 2002 told the Post that Ailes propositioned her and grabbed her buttocks. Additionally, the New York Times and New York magazine published damning stories about Fox's workplace culture on Saturday. Earlier this month, before some of the new allegations of harassment surfaced, Trump expressed support for Ailes. When asked about Carlson's allegations by the Washington Examiner, Trump said, "I think they are unfounded just based on what I've read."